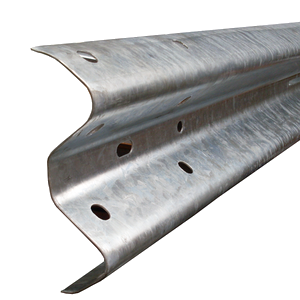 A very pure soft iron, used in particular for roadside crash barriers. Early 20th century: acronym from American Rolling Mill Company. 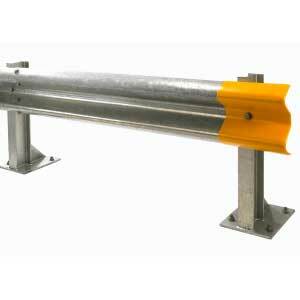 Crash Barriers and Safety Barriers are a familiar sight on motorways and roads, but the properties of a barrier designed for highways use are different to those needed to protect people and structures in places such as car parks, service yards, factories and warehouses. Normally on a highway, when a vehicle crashes into the crash barrier in the central reserve, the impact tends to be at a fairly sharp 20 degree angle and at high speeds. Also, to offer some protection to the driver and passengers, a certain amount of give or deflection is desirable in the way that the safety barrier reacts to the vehicle, to soften the blow of the impact. Alternatively, Armco Safety Barriers installed into a non-highway location are more likely to be hit by low speed vehicles and at a much more square on angle, closer to 90 degrees. Often in an off-road situation, you do not want the barrier to deflect when impacted because space is at a premium and so the Safety Barrier needs to be installed as close to the thing that it is protecting as possible. 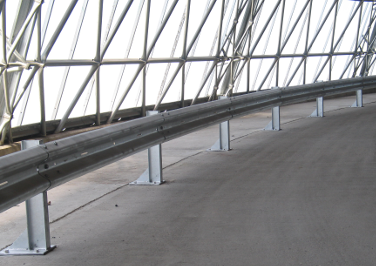 Cenpart are specialist manufacturers of Armco Barrier Systems, and other Safety Barrier, engineered specifically for non- highway applications. 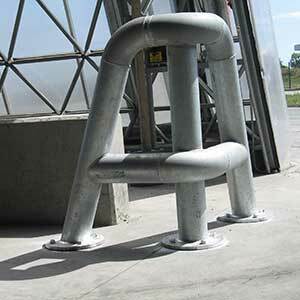 We produce Protection Barriers designed for the problems encountered in industrial and commercial premises. Cenpart’s Safety Barriers offer proven protection for structures and people from moving vehicles at vulnerable locations, preventing expensive damage to property and injury to pedestrians. Our Safety Fencing also provides edge protection from falling ground and voids, preventing errant moving vehicles from drop offs and avoiding potentially fatal injury to occupants. 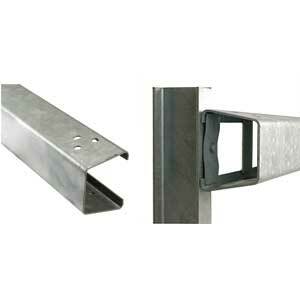 Crash barrier beam systems mainly used for low impact and low speed applications such as car parks, residential areas and industrial sites. 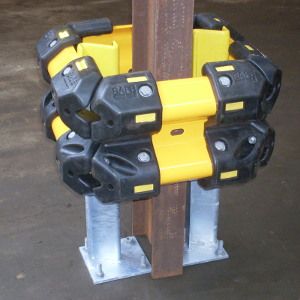 Column protection products cater for various sizes needed and can be made bespoke to your safety barrier needs.